If you see a giant leaf while you're driving down I-25, you know you've made it to Lone Tree. 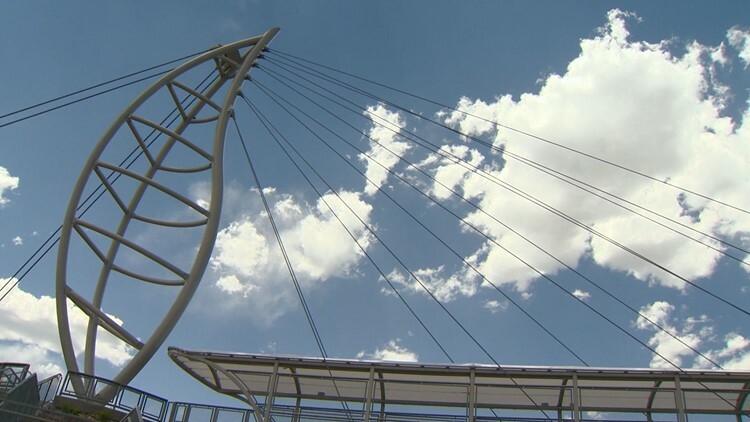 LONE TREE, Colo. -- The Leaf Pedestrian Bridge in Lone Tree officially opened last month after 16 months of construction. If you're driving into town, you really can't miss it the bridge that crosses I-25 and Lincoln Avenue, just west of Park Meadows Boulevard. One entrance of the bridge has a giant leaf structure - it's 80 feeet tall and sits 20 feet above the road. "We worked with the city of Lone Tree to come up with an iconic design," said Pax. "We made the steel pylon structure look like a leaf, that's part of the symbology of Lone Tree." 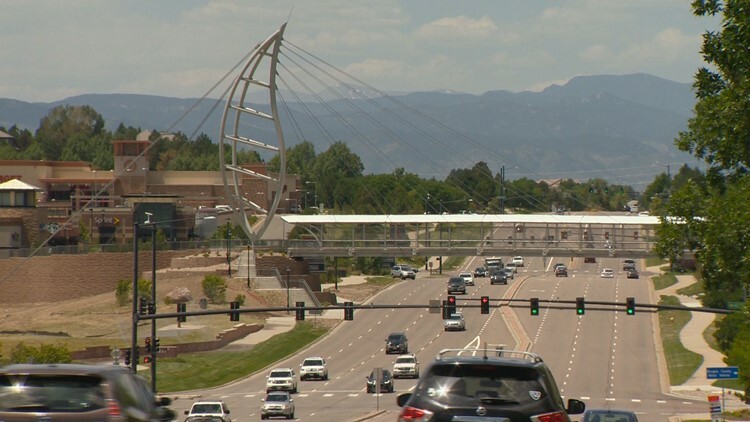 According to Denisse Coffman, the Communications Manager for the City of Lone Tree, the bridge cost more than $7 million, including the expensve of the private land on the north side of Lincoln needed to build the bridge. Some of their funding partners and contributors for the bridge were Douglas County, Park Meadows, South Suburban, RidgeGate Investments, Heritage Hills and OmniPark. Coffman told Next that between 150 and 200 people cross Lincoln Avenue every day who can now use the bridge. There have been mixed feelings about the addition, with some saying that there could have been other uses for the money. Pax, however, believes structures like this boost Lone Tree's image. 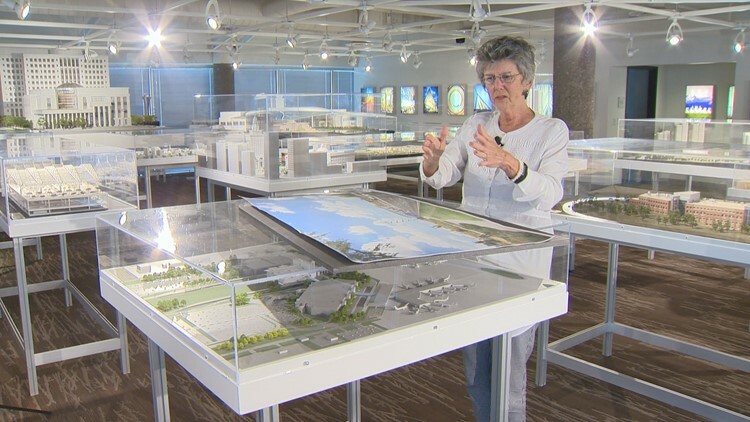 "I think iconic structures do make cities more enjoyable and better places because people remember them," Pax said. "It's an image that the city can put forward and somebody will know where they are."